Fish cakes have been around for a very long time. 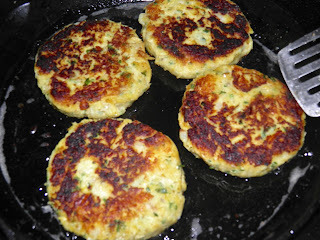 Originally hey were a way of using up leftover cooked fish that otherwise would have been thrown out. 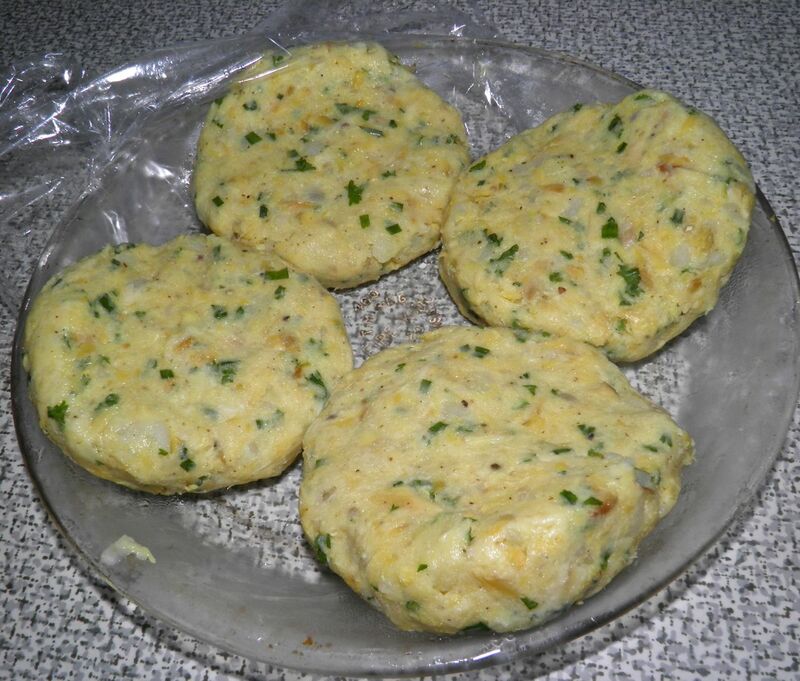 Essentially they are a croquette – fish and potato, seasoned and then fried. They’re a fairly universal food, being made either from salted, dried, smoked or fresh fish. Haddock and cod are two very common ingredients. They appear in nearly every cuisine that has a shoreline. 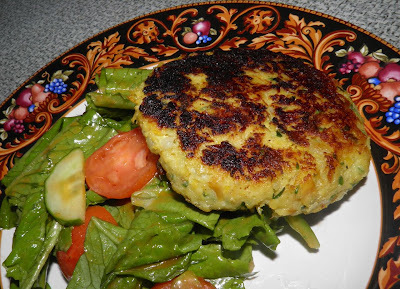 There are Caribbean fish cakes, Thai fish cakes, Mediterranean fishcakes, and if my research is right, recipes reach back into antiquity to Rome and Greece. The recipe for the most common fish cakes probably originated in England and was transported to the New World with settlers to New England and Atlantic Canada. It’s hard to think of the Northeast coast without them. They’re really easy to make. All you need are equal quantities of fish and potatoes plus a binder (like egg) and seasonings. I found myself in possession of a cheaper-than-usual smoked cod filet a few days ago, 2 grams less than a pound. The perfect size for doing something interesting. One of my favourite things to do with smoked fish is to simmer it in a thin béchamel with eggs – a Maritime classic. Served with mashed potatoes there’s not much better. Recipe here for those who would like it... I used fresh haddock, but often substitute smoked. Whenever I eat smoked cod or haddock I remember the fish truck that used to come around the village once a week when I was young. It actually drove to your back door and the fisher(man) would sell direct. Times were different then. The fish was as fresh as it could get, short of buying right off the boat. You do see some fishers selling their product from trucks in parking lots. But driving around to small villages is a thing of the past. This time I thought I would make cakes with my grocery store find. They’re fantastic with a simple salad and don’t take a long time to cook. They can also be done well ahead of time and frozen if desired. Great food to have for these hot, hot days of summer. If you don’t like cod or smoked fish, substitute some other variety. I would suggest you stay away from flounder, sole or tilapia. They’re just too delicate. I hope you get a chance to try these some time this summer. They’re a nice meal to serve whenever you don’t want to spend long in the kitchen. We served with a simple salad and got a chance to use some of our Romaine lettuce. It seems to have become a bit rampant over the past week. There will be more salad in our near future. Bring the smoked cod to a boil in enough water to cover. Reduce heat to medium high and cook for 5-7 minutes. Remove the fish from the water to a plate to cool. In the same water, drop the whole potatoes and let cook for 20 minutes, until they can be pierced with a fork. Drain and let cool. Once the fish is cooled, flake it with your fingers, removing it from the skin. Search for bones as you do this. Peel the potatoes and place in a bowl. You want the approximately same quantity of potato as you have fish. Mash the potatoes. Add the fish to the potatoes, then the egg, chives, parsley, mustard pepper and salt. Mix well with your hands. Sprinkle the flour on top and mix again. Dampen your hands and shape the mixture into 4-6 even-sized, flattened cakes about 3/4” thick. If using breadcrumbs, press them firmly onto the surface of the cakes. Place on a plate and put in the refrigerator for 45 minutes to 1 hour. Cover the base of a heavy frying pan with oil. Fry over medium heat for about 10 minutes, turning half way through. The cakes will be nicely browned. Serve with a salad, or fluffy mashed potatoes.